Should Muhammad Ali start smoking marijuana? 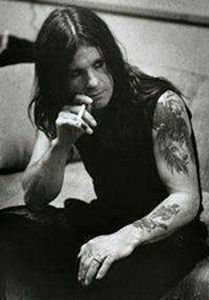 In the case of Ozzy Osbourne (photo) it did not help much; still, researchers from the Stanford University School of Medicine found that endocannabinoids, naturally occurring compounds encountered in the brain and extremely similar to chemicals found in marijuana and hashish, could improve symptoms in the case of Parkinson’s condition. “We have identified a new way of potentially manipulating the circuits that are malfunctioning in this disease”, said senior author Dr. Robert Malenka, the Nancy Friend Pritzker Professor in Psychiatry and Behavioral Sciences. When the research team gave a mix of a drug employed to treat Parkinson’s disease with an experimental chemical that can rise the brain’s level of endocannabinoids to mice suffering of Parkinson, the mice turned from a frozen stage to moving around freely in 15 minutes. “They were basically normal,” said Dr. Anatol Kreitzer, the study’s lead author. “It turns out the receptors for cannabinoids are all over the brain, but they are not always activated by the naturally occurring endocannabinoids,” said Malenka. The scientists focused on a brain nucleus named the striatum, with role in many brain disorders, like Parkinson’s, depression, obsessive-compulsive disorder and addiction, and whose activity is triggered by the chemical dopamine. Low dopamine levels in the striatum triggers Parkinson’s disease, affecting 1.5 million Americans, characterized by the loss of the ability to execute smooth motions, progressive muscle rigidity, tremors and moments of complete loss paralysis. This team discovered two types of mouse striatum cells, activated by different mechanisms, in two complementary brain circuits. “This discovery was exciting because no one had determined whether there were functional differences between the various cell types”, said Malenka. One circuit seems to activate motion, while the other selects unwanted movement. “These two circuits are critically involved in a push-pull to select the appropriate movement to perform and to inhibit the other,” said Kreitzer. These cell types have a different reaction to dopamine. Low dopamine levels overactivate the inhibiting circuit, resulting in difficulty of initiating motion, the main symptom of Parkinson’s disease. Current therapies for Parkinson’s employ drugs that stimulate or mimic dopamine. The team detected on the inhibiting cells a specific type of dopamine receptor, not found in other cells. Quinpirole, a drug used in human Parkinson therapy, had a slight effect in improving the mice’s condition. This is a pretty raw video, but we think it shows better than any scientific article the powerful healing nature of Cannabis. How can you beat a medicine that can be grown and prepared at virtually no cost, that not only has no side effects, but instead leaves you happy? In this video, a man suffering from Parkinson’s takes a puff of Cannabis at about 2 minutes. By 6 minutes into the video, he is no longer shaking, but laughing! They also speak of *hemp oil, which is the most potent form of medical marijuana.